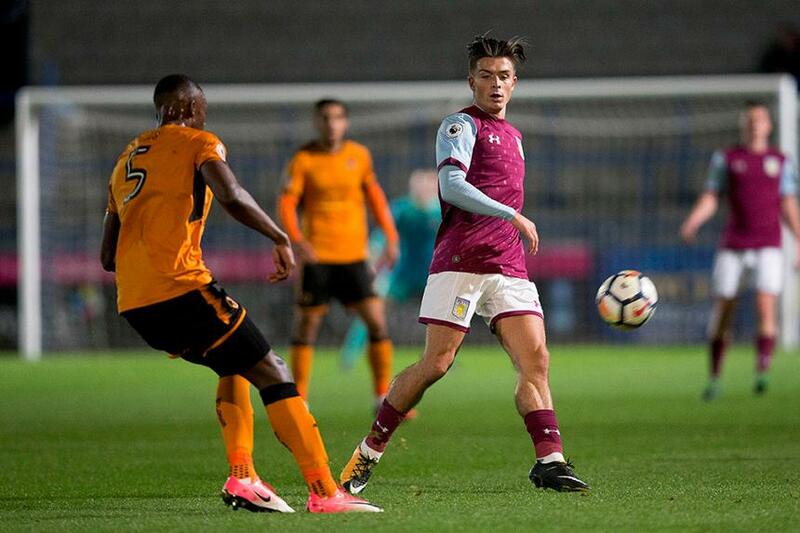 Jack Grealish played his first match since July as Aston Villa scored twice in the first half to beat Wolverhampton Wanderers 2-0 at Telford and move up to second place in Premier League 2 Division 2. Grealish, who suffered kidney damage in a pre-season friendly, played just over an hour in front of the watching first team manager Steve Bruce. Harry McKirdy headed Villa into the lead from close range in the 21st minute and captain Jordan Lyden intercepted a misplaced pass before chipping goalkeeper Harry Burgoyne for the second. Villa's fifth straight win in all competitions moves them to within three points of leaders Middlesbrough. Wolves stay in sixth place. The sides both play again on Monday 23 October, with Wolves entertaining Fulham at Telford and Villa playing Reading at the Madejski Stadium. See: Wolves report | Aston Villa report.